Some people get presents under their Christmas tree. Me? I get a family of 5. 4 children under 8 and their mother sleep on the couches and on mattresses laid out on the living room floor. It's 5:30 am and I find a place to squeeze in between the pile of children and blankets and attempt to have some "quiet time" by the light of the Christmas tree. I am distracted. Her kids all have a cough and they breathe heavily and toss and turn all around me. Her chest heaves and a small moan escapes her lips. The rain pounds loudly on the tin roof and we need this rain so I try to be thankful for it. I dream for her future. I dream that she'll live. I fleetingly wonder if there are relative who will raise this brood of young ones if she doesn't. I wonder what their future will hold. I wonder what this day will hold. I watch their chests move up and down and hear my precious ones begin to stir in the other room, and I wonder if I can so it again today, the 17 children and the sick and the broken and those who will come for dinner and just all of these lives with all of their needs. The house is all a-twinkle, and I remind myself of all God's promises fulfilled in a baby and breathe it deep, Grace. And I am so thankful that Jesus meets us in these squished places. In the stretched places. In-the-squeezed-between-the-tree-and-the-kids moments, in the desperate-for-quiet-on-the-bathroom-floor-because-everywhere-else-is-full moments. I read Luke. I think of Bethlehem and how it had no room, and I think of how His parents squeezed between the animals to place Him in a feeding trough. The shepherds gazed in wonder but Mary held all this wonder in the silence of her heart. I bet she dreamed of His future. I bet it was muddy and loud in there, but the sky was all a-twinkle with the light of that star, the heavens bursting with joy at God's promises all fulfilled, Grace. I look around and know: this is what He came for. The King of the universe who created all things, even life itself, clothed in splendor, took off His royal robes, laid aside His crown and squeezed all of the fullness of God into the womb of a woman and then into swaddling clothes in a manger. He calls my name right here and how I long to recognize Him here, right here. The squished places and the stretched places, the moments that are loud and messy and uncertain, this is what He came for. The heartaches and the doubt and the wounds that our sin carves deep, that's why He is here. And all this life hanging in the dark of the morning, isn't this why we wait, why we celebrate? Isn't this why we light up the candles and the tree and the house and say with all the longing in our hearts, "Come, Lord Jesus"? This morning in the dark, in the rain, in whatever mess or squished place or heartache you find yourself in, all God's promises are Yes and Amen, and we can rejoice in thanksgiving! The Savior is here with us, Grace. His promise is Yes to you, friends. "Yes, I have come, and Yes, I am coming. Yes, I am with you always, even to the very end of the age." I pray that you'll recognize His handprints all over your day today. This is so beautiful. Praying for you. Merry Christmas to you and your beautiful family Katie! You have been beyond an inspiration to me as I am reading your book. I'm hoping to do ministry in Africa next summer and (although it's a long shot) I'd love to use you as a sounding board! I'm praying for you and your sweet girls as well as the family staying with you! Have a blessed Christmas! Merry Christmas to you and your beautiful family Katie! You are beyond an inspiration to me as I'm reading your book. I'm hoping to do ministry in Africa next summer and (although it's a long shot) I'd love to use you as my sounding board! I'm praying for you and your sweet girls as well as the family staying with you! Have a blessed Christmas! Thank you, sister. God bless you and yours. Praying for your strength. God bless you and yours, sister. Thank you. Merry Christmas. You are truly an inspiration! God bless you and your family! Merry Christmas! God bless you and (all)yours today, and in all the days to come. Merry Christmas! This week I have been encouraged and challenged as I read your book; knowing that God is leading me down a road that is uncomfortable but filled with joy. Thank you for sharing how God has led you. I pray that God will bless you and your family today. You are beautiful. I came across your journal as I was browsing through the net for anything interesting to read or simply to just pass the time away. Instead, I was led to your wonderful journal. I just want to say that you've inspired me to keep turning to God, giving thanks for both the good and the not so pleasant trials in life. I pray that God will continue to be with you and the people around you in spirit, that He may continue to use you to fulfill his wondrous works :) Have a Blessed Christmas! Merry Christmas Katie! I'm praying for this family! Beautiful, Katie! Merry Christmas to you and your girls and all those you care for there. God bless you....thank you for all you do! I am so blessed by your blog and your book! God touches my heart and so many others thru your life there. And for you. Extra Grace from Him through you. I recently found your blog. Thank you for the ways you remind me to look at things differently in the things He wants me to do, with the limited energy an abilities He expands so I can do them. God Bless. Merry Christmas to you and your beautiful family. Praying for all of you and your ministry today and throughout the year... you are truly an example of a Godly woman and such an encouragement to me. Thank you for your book, and all your beautiful blog posts... I look forward to them. I am 15 years old. I have read your book and I am so inspired by you. Your love for Christ and the way He uses you for His glory amazes me and I praise Him for it. I decided to not recieve presents this Christmas and instead use that money for God's purpose. I am having trouble deciding which organization to donate the money to. Because you inspire me so much, I was thinking maybe I would give it to you. How could I get it to you? Thank you for sharing these intimate moments with us. Your adventure is soul inspiring, and it is a privileged to be welcomed to read about these very special moments you share for God's glory. Merry Christmas Katie. Blessings to you and your loving family. Christ is king and He is truly enough. I got the book Kisses from Katie for Christmas. I read it straight through. I is wonderful. Thank you for writing it. I got the book Kisses from Katie. I love it!! Thank you for writing it. I have only found your blog & story in the past few days as I bought your book for my 14yo adopted daughter & was drawn to your story for myself as well. You are truly His hands & His feet in Uganda & a living testimony of sacrificial love the way Jesus lived it & how He wants us to be living in the world today. I will be following your blog & we as a family will commit to pray for you, your ministry & will financially support you as well. He has called all of us to be a part of His body in so many different ways & we will lift you up from this part of the world & will do our part as your follow the Savior in Africa doing yours. you are my inspiration. I thank God that He gave you the gift to not only share Him with so many but also the gift of being able to write you thoughts and feelings. Thank God He directed me to your book then blog! it has helped me as I try to serve Him. Thank you and Merry Christmas! hey katie my name is morgan whaley and I just read your book kisses for katie. The stories are amazing and very inspiring. I would love to visit uganda one day. Loved this :) So encouraged by your writing and how you are giving yourself to God. You bless me! I was reading this earlier tonight (12-25) then I read your blog post. You are the embodiment of this passage. I pray with you for the precious mother in your home and her children, as well as you and your girls. God bless you sweet girl. Merry Christmas to you and your family! I received your book as a gift and am enjoying it so far. Katie your book and you blog are blessing me in ways I never imagined. I 've had some squishy and some stretching experiences this holiday. Your words have helped me trust in the Lord and draw on His power. Thank you so very much. Wishing you and your family a Merry Christmas, Katie. Thanks for finding the time to blog and letting us get a glimpse of your journey with Him on this earth. Just wanted to send a little note of encouragement and support your way. May God bless you and your family this coming year. You'll be in my prayers. Wishing you and your family a Merry Christmas, Katie. Thanks for finding the time to blog and letting us see a glimpse of your journey with Him here on earth. Just wanted to send some support and encouragement your way. God bless you and your family! You'll be in my prayers. Simply beautiful! Thank you for sharing. Thank you for caring. God bless you today! Thank you Katie for reminding me what is really important. It is not the material gifts we get, but the gifts we give and receive that come from our hearts. My oldest son freely put his arm around me and said, "I love you mom." That was the best gift I got this Christmas. I check your journal every week in anticipation knowing that I will be blest by what I read. Thank you for sharing your innermost thoughts with me. I really enjoy reading your posts. It is very humbling, sitting in my living room surrounded by "stuff" that we didn't "need" and to realize how blessed I am that my family is warm and has plenty of food and are all in good health. Merry Christmas and Joy to the World. He is our great redeemer and friend - our reason for living! Thanks for reminding us all of that, and for being Jesus to those children and all those that you encounter every day. This is your Katherine? The one you where talking a few post back? How is she? Is she getting better! Praying for you, her and her little one! Beautiful :) I was given your book for Christmas from a friend and I can't wait to dig into it! I pray that the Lord blesses you in all that you do. He is doing great and mighty things through you, sister! Thanks for writing, Katie. I love when you describe life so vividly that I can imagine being there to see it for myself. It sounds like it's not always easy, but it's always blessed :-) Merry Christmas to you and your sweet family! Merry Christmas, Katie!! God bless you for all you do. Praying for your friend. God will provide. Merry Christmas! I'm so happy to have you blog your precious moments with us. You are all in our prayers!!! Merry Christmas, Katie and all of your beautiful children. I just finished reading your book and I could not help but fall in love with the person you have become. I have been searching for my vocation, and although I still do not know, you have given me the motivation to continue praying hard and leaving it all up to God. I will say YES to the Lord. God Bless you all. And thank you a thousand times for writing this book. It has undoubtedly changed my life! Thank you for posting, I look forward to each one of your posts. I pray strength and comfort for you and healing for the family you are hosting. Your life is a pushing me to live full on in love with Jesus every day. This is so beautiful. Praying for you and these kiddos. *Tears...I LOVE God's work in you. Oh, how very blessed I am as I read. And I feel your blessing, too, and I rejoice that you do see that blessing though you are squeezed between and stretched out...I pray she lives. Now AND in eternity with Christ. And all her kids. And yours. Too much to ask? Not of our King. Loving you from Mississippi. I am 14 years old. About a year ago God decided that I NEEDED to go to Uganda. This was before I had heard anything about you or your ministry. When I read about you I knew God was right. God was on a mission to get me to Uganda. Your daily life inspires me and makes me joyous just thinking about it. All I want is to go to Uganda. I would love to email you or write you about Uganda and some arragments I must make. I know you are so so busy with Amazima and your girls, but if you could fit in one minute for me I would be the happiest girl in the entire world!! Thank you so much for evertthing you do for the Lord. I am continuing to pray for you, Amazima, and all of your children. To contact me, my email is ea.tarheel2021@gmail.com Thank you so much Katie. Merry Christmas sweet Katie...to you and everyone your heart loves! Thank you for sharing, Katie. You are such a blessing! Katie, I have been looking for a way to contact you. I just left college after completing a year and a half and am paying off my dept so i can follow Jesus relentlessly as he asked of me in the red letters of scripture and deep in my prayers with him. In the mean time i have boxes and boxes or raggedy anne dolls. I know its small and silly but i grew up collecting them and feel they have to have some purpose and would love to send them to you if you felt you could share the love of Jesus to girls through giving them a gift of these dolls? ill check comments for a contact back if your interested and be in prayer. praying for you and your girls and those you come in contact with! Even in fear, He comes! Praise God! Our daughter is in Uganda now, hoping to come to visit you, or at least get a glimpse of your "compound" in the next week, or so. They adopted a little girl from Loving Hearts, Ruby Kate, age 2...our first GRAND-daughter, to go along with our 2 grandsons. What an awesome example of doing God's work you are....something we should all be doing. Merry Christmas Katie to you and your precious ones! Thank you for sharing the depths of your heart with the world. So man times I've read your story, I've read your blog, and I think why not me Lord? This is what I want. I want to live in a foreign country and adopt so many children. Today I read this post and I'm so selfish. I'm so thankful to live in America, in my nice home, with heat, and room, and so much food, with just my family. I wonder how in the world you do what you do. How you stand to be away from your own family in the states. Your dedication to reading His word and spending time with HIM. Relating your journey to His. I know it is by His grace and His grace alone that you do what you do. My mind knows that real blessings are in the sacrifice but today my flesh cries for the things that spoil me so. I pray for you and your family, for all of those that cross your path, I pray that the Lord heal, touch, give peace and security, and Lord bring them comfort, heat, warmth, blankets, food, room, and all the things that their flesh may cry for. How I long to be more like you. How I know I must crucify my flesh. Lord help me. Katie! Thank you for sharing what the Lord does through you! It is always encouraging and a blessing. I was wondering about your van. That might sound ridiculous but I remember reading about you receiving a van. My friend has just recently started a nonprofit in Liberia, and currently she is trying to get a school bus for the orphanage there. She is thinking about buying one in the States and shipping it to Liberia. Could you give any advice on what would be the best way to do that? Katie! Thank you for sharing how the Lord is using you! It is always encouraging and a blessing for me to read. I had a question about your van. That sounds ridiculous but I remember reading about you receiving a van. My friend has recently started a nonprofit in Liberia. She is currently trying to find a bus for the orphanage she supports there. She is thinking about buying one in the States and shipping it to Liberia. I was wondering what you thought the best option would be. I feel so blessed to have stumbled upon your book and your blog. I am sixteen years old and have been longing to serve in Uganda for as long as I can remember. Your book and the way God obviously shines through you is just amazing. I am hoping to move to Uganda either before or after college, if God continues to lead me that way. I will be praying for your beautiful family! So I wanna thank you Katie. I'm a 21 year old college senior living in New York. Christ in you is such an encouragement to me. Your life speaks more than any sermon ever could. Keep doing God's thing Katie, it's only gonna get harder, but it's worth it. A kiss is the act of pressing one's lips against the lips or other body parts of another person or of an object. Cultural connotations of kissing vary widely. My name is Madeline and I am 11 years old. We just finished reading your book this morning at breakfast, its amazing and I hope you write another one soon. I am the oldest of 5 children but soon to be 6 as we are adopting a brand new baby girl in 5 weeks! Mom says we can make a donation to your ministry and start following your mission. Merry Christmas Katie! Praying for your family. Merry Xtmas dear Katie, from Brazil, we love u, and i cant help amazima with money but i pray for u and amazima every day. U change our lives. Merry Xtmas from Brasil, everybody here loves u. We pray for u always! Merry Christmas Katie from Brasil! Happy Christmas to you, dear Katie! It is so easy to get lost in the hurry of life. Whether it be caring for children or working in a busy city. Thanks for sharing your heart once again with the world! Mungu ibariki! I truly needed to hear this message from you. I lost my father to cancer almost two years ago and being 19 years old currently I struggle with only having one parent. I grieve over his death and constantly think of him. I'm so thankful that I can confidently say he's in Heaven watching down on all of us. As I sit here missing my own father, I can't imagine what those children are dealing with everyday. I know so many have and continue to lose their parents at a young age and are left as orphans. I pray constantly and fervently for them because my heart breaks for them knowing a similar pain in my own heart for my lost loved one. Thankfully we have a wonderful savior who heals the broken hearted and brings beauty to ashes. I continue to read information about Africa because I hope to one day be able to do medical missions there once I earn my nursing degree. I am praying for you and your family regularly and constantly like 1 Thessalonians 5:17 says to do. I hope your Christmas was truly blessed. You are truly experiencing Christmas. I'm a little envious. Blessings. Thank you for a gentle and honest reminder. Maybe I'll find room for one more. Make it one more day and then another and remember there is abundant grace when I'm so exhausted I get numb. My name is Kimberly and I am moving to Uganda one week from today. I had heard your story last year and then someone gave me your book for Christmas. It was then that i realized that you are from Uganda. So cool! Maybe one day we will meet. (c : Blessings to you today as you keep your eyes on HIS and love on your kiddos! I dont' think I signed my last message. Blessings Katie. He is Good! Hi Katie. I know you can't respond but that is okay. I just wanted you to know that I'm currently reading your book and it is ruining me. I can't help to look around at all the luxuries I have and the excess and feel differently about it. I don't know if you are able to pray for anyone else (you have many things at home to pray about I'm sure!) but it has been on my heart to adopt for some time but my husband is not of the same mind. I am praying the Lord changes his mind and I'm excited (but scared!) to see what will happen. Anyhow I just signed up to sponsor a child in your program and it is the best present I could have given myself - ever! I am praying for you and for your friend and her children that are staying with you. I love how you glorify God at all times and you are such a wonderful example of living in FAITH. I often forget how big our God is. Anyhow, bless you and your beautiful family. I will keep checking to see if you have need for visitors to come help! Merry Christmas to you too Katie (a few days late but I'm sure you don't mind :-). And may our Father who came to our world so very long ago, meet us each day in the often frantic-too-much-to-do-too-many-squished-places-in our lives and give us His peace and His grace to carry on. I love it...God's handprints on every day of my life...what a beautiful image! Thank you giving me this wonderful gift to take into the new year. Hi, my name is Michael. I am 18. I have a part time job and I don't read much at all. But one of my friends showed me your blog one day and I think I read about 8 posts or so. I could not stop reading and soaking in the truth of the Lord! Your blog is so amazing and it blesses me so much! I wish I could read every post but I only look every once and a while. But every time I read one or two of your blogs it blesses me so much! You are doing the Lords will and you're doing such an awesome job. So inspiring and lovely to see how you display emotion and truth in your posts. Thank you from me to you. Thank you! I pray you are blessed daily and continue to see the love of the Lord poured over your life! Wow! Thank you for this! For recognizing His handprints. Praying for this family and praising God for grace..that cleanses and purifies. A big hug from someone God sent your way as a new prayer warrior. Amen sweet sister. May we all experience our precious Lord in the squished places of our lives. Thanks for the reminder. Praying for that dear momma on your floor. Praying for Katherine. Praying for you, Katie. And for mothers and children everywhere. How i love that truth, Katie. Thank you for sharing these thoughts. I have recently shared with atheists, vegans who wonder at the mystery that "so many amazing accidents occurred in just the perfect sequence to create our universe, our first spark of life...". So lost and blinded to the truth and wonder of this child, this Saviior, this King and CREATOR GOD, who loves us so immeasurably rather than one who judges us so harshly as they have been led to believe. All that freedom, hope, and light, wrapped up in such an amazingly helpless and dependent child, by choice, by design, so that He could be the perfect One to take our place for our failures. My life is given to sharing this wondrous truth, and to teaching the evidence of creation, the flood, and to sharing the Life that comes only from the Child who is our Father. Know you are beautiful and loved in His eyes, and by His children, as are all those in your embrace. Joy of the Lord to you my sister! You're so inspirational to me. Thank you for these posts. It always sets me in the right place because so often in our modern society we lose what it's all about. We should be trying to live for God. Thankfully, the grace God has given enables us to do that. You have been a blessing in my life because of how you have lived that calling out. Thank you for this sweet reminder of what Christmas is all about. Grace and Peace to you! I stumbled across your blog after reading your book and this was the first post I read. First, thank you for allowing God to use you in the "squished places" with all of those beautiful children and families. When thinking about Jesus being born in the lowest and most humble of places, I can't help but smile. God loves to use people that others see as the lowest of low. It's when people are humbled before God, that his Grace is at it's fullest. It should bring all of us joy to know that God delights in using the "ordinary" to do his extraordianry work. It can just be a challenge to stay focused on God when we are in these humble moments. I am praying that you continue to find strenght in the times of hardship and struggle. Just know that God is using you to show the love to all of your kids and community, the way he showed the entire world his love when he came to us. Thank you so much, Katie for a wonderful year of reading your inspirational blog. I am always so touched by your family & the work you are doing there. May God bless & keep you all in the new year! me, a California girl, to help. I am praying in earnest for God to tell me how to help you and your ministry. Above all, I want to do His will. Thank You for being so special! I went on a mission trip to Guatemala this past summer. This was my first mission trip, and I was terrified! But after that trip, I felt like everything I had planned for my life completely changed. I hadn't realized until I read several of your posts that I felt this way because I want to be a missionary. I want to work in Guatemala in the same way as you worked in Africa. I just can't imagine what my parents will have to say about this. I was wondering if you could give tips on how one might tell this to their parents and truly convince them that this is God's plan for me. Merry Christmas, Katie! Like many others who have commented on your posts, I have been so encouraged to hear about the work you are doing in Uganda. Your beautifully written blog posts are filled with joy and love from our Savior. I, like many others, will be praying for you this Christmas season and New Year. Peace and grace to you! Love this Christmas reflection. I flew back to a ministry I work with in Honduras and read your book most of the flight back, choking back tears on page after page. It soaked into all those rough patches of my heart that seemed others couldn't quite get. It expanded those things that I wasn't courageous enough to step into by faith. It put into words the beatings of the gospel's heart. I'm only half way through as I let the words sink past the minds control and into the Spirits heart control, I'm being renewed by reading your story, and it is so necessary and such a gift. Just wanted to share and say thanks. Your words most certainly are Spirit filled and real, and I'm going to steal a few of them for a new years reflection because the reality is....they have to be shared as all raw truth should. Happy New Years, and thank you. “Surprise, I am right here. Surprise, it is just as I said it would be. Surprise, I am exactly enough, everything you need, all over again.” I prayed and He could have pulled the answer right out of His pocket. But He didn’t, because He loves me too much and His way is better. Just as a parent delights in playing with and surprising her children, just as I delight in throwing my already-pajama-clad clan into the van for a spur of the moment, late night ice cream run or putting little gifts and notes of encouragement on their pillows, so He is with me. I can laugh with my Father because He is a parent who delights in surprising His children, a friend who loves doing something extra special for his closest pal. I can laugh with Jesus, because He is too good to me. Life changes in an instant and we are but grass that withers. And God holds all of the chaos in the palm of His hand, giving even the pain a purpose. A year later I can say, “yes, this year has been the hardest yet. Really though, it has also been the best. And I would do it all again if He asked me to.” Because faithful God did not let go of our hands. I am young and I know the most difficult times are not behind us. But as I rest in Him and draw near I am learning much and I am remembering that I am one of His favorites. And even in the middle of a storm, even when I can’t see the good yet, He can. And He is looking at me with that twinkle in His eye, just waiting to surprise. God bless you and your family Katie. I am daily inspired by your faithfulness--and your God-centered love. I have sent your book to countless friends and family because I know that God wishes them to hear His message through you. Happy New Year! Katie - one thing I've noticed from reading your blogs (the Amazina one as well) is that in pictures or video of you you rarely look at the camera. You are always looking at someone, with love shining in your eyes. It may seem like a little thing, but this is what struck me the most - your love for others shines through in this very little act, like those you are with are more important than the photo, video or whatever else is going on. And so it should be. Please continue your work, you and Amazima do such great things through Christ. I pray for you often. Hello Katie, I have been wanting to leave my high paying job to help others. I often feel ashamed that I am just now waking up. I have been researching and trying to figure this all out. I walked into the book store and was drawn to your book. I have loved every word that you have written. I have been expecting more and praying bold for God to show me the way. Why don't you have an official fundraising organization in the states? I would be greatful to join your organization and help with contacts I have here that could continue to support you. God Bless you and those wonderful children. I am so blessed my your life and story. I pray that Lord bless you, your girls, and your ministry. I just finished reading your book, and some of your blog. Thank you for sharing your life with us, and thank you for sharing your heart. God is doing amazing things through you, and i can promise you that you have touched my life in ways I have not been able to put words to. I will be following you, praying for you and your amazing girls and praying to find ways to open my heart the way you have. Katie, you have obviously been gifted with the ability to share your light thousands of miles away from us.... we who are blessed to receive your inspiration, joy, goodness and faith.
" Ye are the light of the world. A city that is set on an hill cannot be hid.Neither do men light a candle, and put it under a bushel, but on a candlestick; and it giveth light unto all that are in the house.Let your light so shine before men, that they may see your good works, and glorify your Father which is in heaven." YOU are such an inspiration. I am now reading your book...and am inspired to love ever more. Through your many tests, you are such a testimony, and I am praying for you, your family, and your service to our Lord...right now. I will be sharing your story here in Arkansas to all that will listen! Thank you so much for this, Katie!When I read the words of your blog, I can always expect it to be exactly what I need to hear, exactly when I need to hear it. I thank you for your example, Katie, and your boldness to follow Christ. He has a plan for your life, and He has shown himself strong! I can't wait to see how He continues to use you and work through your life! What specifics can I be praying for you now? hi katie! my name is mady and i am 15 years old. i just wanted you to know that i am reading your book and it is amazing!!!! i am a missionary in guatemala with my mom and dad, 2 sisters and 1 brother. we run a boys academy. they come to play soccer and for help with hw. our vision is to chang the village that we live in. to help that boys grow into men after god's own heart and for these boys to change their own village! your book has been very inspiring and i have related a lot to things you have said... if you wan you can check out my dad's blog: bvboys.com and deepstreamguatemala.com! I've been blessed to read this post tonight. I currently live in the US as a college student, but it's been on my heart for a while to leave this place and this lifestyle, and I have a feeling God will be bringing me over your way once I've got my teaching degree. I think about this often with longing and excitement. But today, for some reason I've been thinking about all the things I would no longer have if I leave all that I have behind. Getting ready for church this morning, as silly as it sounds, I stopped to think, "I won't really be able to get all dolled up and feel pretty anymore (not in the same way, anyhow)," which is something I have a lot of fun with these days. I thought, "I probably won't be able to keep my beloved dog or have my three therapeutic cups of coffee a day." Thinking about these things did not in any way change my mind, but the last thing I thought about started to really bum me out. I was looking at my Christmas tree, all lit up (the one I just can't bring myself to take down yet), and I thought about all of the things I have valued about the Christmas season over the years and that I would probably miss dearly if I wasn't here anymore. Curling up by the fire to watch a Christmas movie and drink hot chocolate with my sisters. Gathering with the whole family for our annual Christmas party. And, yes, waking up to presents and snow on Christmas morning. This has always been my favorite time of the year and for a few minutes I really struggled with the reality that I won't always continue to make those kinds of memories. Then I was lead to your blog and read your post. What I love most about Christmas is the unexplainable joy that I've associated all of these silly traditions with over the years. I realize though that I was associating it with the wrong things and that, if anything, leaving behind these "riches" will only bring more joy, as that is what Jesus did when He joined us on that beautiful night. Thank you for reminding me of where the joy of Christmas time really comes from. This statement has been running through my head- I sincerely appreciate that God speaks through His kids. You are a valuable instrument of His LOVE for all of us. Thank you Lord, for loving us "as is." Praying for you, your daughters, extended family and friends. I am also praying for those around you who are NOT your friends- who need HIS LOVE. Katie, I spent July in Kampala, Uganda and fell in love with the beautiful country! I'm not sure if you've heard of Greenhouse Orphanage but I was there in Kampala! I'm praying for you this morning/evening for you, and am so thankful God is working through you and you are His hands and His feet! Your devotion to serving God so wholeheartedly, obeying is Word to care for the orphans and to feed the hungry is an example of what all of us need to be doing in our lives! God has called me into full-time missions and I said yes, giving my life over to Him allowing Him to tell me where He needs me! I'd love to be back in Uganda where I left my heart, but I'm open to anywhere God calls me! I just know I don't feel called to live in the states! If you have any words of encouragement or advice for me I'd appreciate it! I'm praying for you and everything God is doing through you everyday! Thanks for writing a book to share your heart with the world! How awesome! Dear Katie, I loved your book and your passion for these people. Reading your story was such a gift to me. I have now started reading your blog and watching your videos which find me often wiping tears.... I work for a church and upon my suggestion our Sunday School kids are going to give their offerings this quarter to Amazima! I am so excited! We will keep you in our prayers dear Katie! May God continue to bless you and all those you share Jesus with. Thank you for receiving His love, His grace. and thank you for sharing it so beautifully too. Thank you Katie. The Lord really blessed me this evening through your post. I am 18 years old and working in Long Term Care for the elderly. I have been reading them your book and they all love it so much. They listen intently as I read them your story. The majority of them are not Christians but your book stirs up some neat conversations and I am able to reach out to these people. Keep up the great work!! Thank you Katie for answering your call even when you were afraid! I believe you have changed millions with your story and continued work. May Good bless you, your children and your ministry! Merry Christmas and a blessed New Year! Thank you SOOO much, Katie! My friend let me borrow your book Sunday and I finished it a few days ago. The day after I literally sat under a table and cried because I was so sick of comfort. I haven't had what most would consider an easy life (my Dad left us ten kids, that were still at home, to my Mom a few years ago after an accident which should have killed him) but I know I am so blessed! I had "my" life all planned out as of a month ago. I would finish college and graduate high school next year. But now I am seriously searching for what orphanage God wants me to go to serve Him at. Thank you for being a true Christ follower!! I read your book a year and half ago and follow your blogs but am not timely in reading them. Just read christmas today and somewhere else where I now know your friend is with Jesus. Is there a relative for the 4 children? I can't get them off my mind! Would there be a chance for them to be adopted in US. Or is that not a good idea? Like I said, God keeps putting them on my heart and I need to help in someway. Please post an update on the children when you have time. I know you are grieving and I will continue to pray for you. My name is Sophia Madore. I am 13 years old and I am in 8th grade at a Catholic School in Minnesota. I have wrote this letter like 5 times trying to find the perfect words to explain how much I look up to you! I believe everything happens for a reason. My mom got me your book “Kiss from Katie” for Christmas. To be honest I am not a big reader… When I started reading your book I was inspired! I could not stop reading about your adventures in Uganda! God must have pointed out this book to my mom. He must have wanted me to read it. Thank God He did because I see things in a different light, I see things through God. God grace is truly AMAZING! In my town we have lots of youth group stuff; we have Camps, Youth “hang outs”, and Lifeline that I and my friends like to go to. I am truly blessed to live in such a great community! I had my first experience of Lifeline last week. It was at the NET center and 1000 teens gathered together for talks, mass, and my favorite ADORATION! I t was so amazing, It was praise and worship adoration and everyone had their hands up praising God, I could not help but imagine how happy God is and how much grace He was pouring on us. In your book it was raining and everyone was praising God! You said this is God grace and I don’t ever want to get dry…. WOW! To think during these times of happiness filled with God’s grace, is only a slice of Heaven, it is Amazing! Because Heaven is 1000000 times greater! I truly believe God speaks through you! Thanks you so much for writing your book! It has inspired me and now is inspiring my mom! God spoke through you through your book and life! You are Amazing, Faithful, Joyful, and Kind! God must be so happy because of all the lives you changed and are still changing today!! I really want to meet you! I look up to you! Do you have room in Uganda for me? :) I want to be like you. I want to spread Gods word and bring love to others like you! I would love to go on a mission trip someday and do the same! Always remember prayers change things! God is always with you, He is in you! You touched my heart! No words can explain how much God loves you and how much you have inspired me! I hope you had an amazing Christmas! I am keeping you and your family in my prayers! You are the light of Christ you are the light in dark times! I truly believe God speaks through you! Thanks you so much for writing your book! It has inspired me and now is inspiring my mom! God spoke through you through your book! You are Amazing, Faithful, Joyful, and Kind! God must be so happy because of all the lives you changed and are still changing today!! I really want to meet you! I look up to you! Do you have room in Uganda for me? :) I want to be like you. I want to spread Gods word and bring love to others like you! I would love to go on a mission trip someday and do the same! Always remember prayers change things! God is always with you, He is in you! You touched my heart! No words can explain how much God loves you and how much you have inspired me! I hope you had an amazing Christmas! I am keeping you and your family in my prayers! You are the light of Christ you are the light in dark times! Katie, thank you or your love for these children. Your book is amazing as is your blog. Those children are so blessed to have you. I went to Kenya two years ago on a mission trip and it has changed me forever. My husband is a youth pastor and we have three small children, and I pray that one day God lets us go back. I understand many of e things you mentioned in the book, America and Africa are so very different. I will be praying for you. god has given you a great gift. he called, you responded, and now you get to see the amazing gift of grace and dependence. 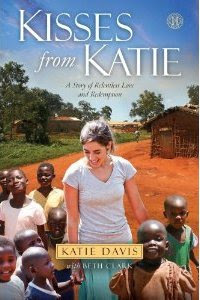 Katie, I just finished reading your book and was so humbled by your dedication to these precious children and God. May the God we serve surround you and your family with His love and provide just what you need for this moment. Mother Teresa once said I know God only gives me what I can handle but why does He trust me so much. He trust you and I because He knows we are trustworthy! My thoughts and prayers are with you and you girls. Just read your book and was so humbled by your dedication to these precious children and God. May God continue to provide just what you need for this moment nothing more nothing less. Mother Teresa once said I know God doesn't give me any more than what I can handle but why does He trust me so much. He sees into our hearts that we are trustworthy. I have been to Africa on a mission trip plan to return in July. The people are awesome!!! This is my first time reading your blog and it gave me goosebumps and brought tears to my eyes. You captured Christmas and it's true meaning in such a beautiful way. What a blessing you must be to those children and parents in Uganda, sharing the love of Jesus. I just finished reading your book, and wow it encourages me in my walk as well as re-ignites my passion for missions. I am 24 and have always had a heart for helping those who need it most and have been on many mission trips and even lived in third world countries. But after college I have become complacent where I am and I want to thank you for writing your book and once again making me uncomfortable where I am! Your book stirred in my heart my desire to once again live abroad and help those who need it. So thank you! Thank you for your wonderful book. It was a gift to me from one of our church home bound members. The book has changed my life. I read your blog and pray for you often. As a Pastor I thank God for you dedication and love for the unlovely. May God bless you as you continue to follow the Master. I am so thankful to have found your blog this week. We just lost our 2.5 year old foster daughter after two years of fostering and pursuing adoption. I cry when I think of your Jane and my Mia and all that is lost. But I find some hope in the way you have come out with a stronger faith than before. I have been writing about the process on my blog under the "foster care" category, but it's only been four and a half weeks since we lost her and only ten and a half since they told us she was leaving, so I am fully in the grieving stage and not as firm in my trust of God yet...I know He is perfect but it will take time for my heart to catch up. Thank you for writing in your book and here online...it is God's blessing that we children of His can bring comfort to each other in our darkest times. i am moved by you and your actions. the love you give is incredible. i am sure you would say you receive the same in return! i'm praying for this family. how are they doing now? I finished reading your book minutes ago. I finished it in two days, despite having a painful eye infection, because I just couldn't put it down. What God has done and is doing in your life is truly amazing. I pray God will use me where I am to do all He wants me to do and be all He wants me to be. Hey Katie, I've been thinking a lot about you and Uganda, and I didn't stumble upon your blog for nothing. God has touched my heart through you and your work, and you and Uganda have inspired me, and confirmed my path to love the orphans. As I was reading my Bible today, and thinking and praying for you and your mission, I opened my Bible to 2 Corinthians 2:1-4, and it reminded me of something you would put on your blog. wish I would have known about your type of situation. Now it is too late as I am the primary caregiver for my 3 year old greatgrandson. And that is a BLESSING. Thank you for all that you do everyday.I will remember you in prayer. I write this almost in tears because I am so thankful for your book, for your inspiration and for you family. I am around the same age as you, in a transition time in my life. I received your book and one of your blue necklaces for Christmas. I can honestly say they were the best Christmas gifts I recieved. I have been discerning my path from God for some time and your story, girls, and your connections to scripture have inspired me and challenged me to continue to say yes to all He asks of me. I am planning on traveling to Ethopia this summer with my boyfriend who is from South Sudan to meet his family for the first time. I have been excited/nervous about the trip. After reading your book and spending time in prayer, I have been given a renewed sense of hope, grace, and a reminder that I have desires to do more for Him and he will be with me whereever I go. You remind me that just because I am a twenty something teacher with college debt from the states, I still have much to offer and am loved. Just as the disciples were just regular men, without much else to offer but their lives to God. Please know that I have been raving about your book to almost everyone I meet. I know it sounds strange, but I really would love to meet you some day and just be able to spend time with you and see you in action. I do not know if this will ever happen or be possible, but I feel like we are strangely connected even though I have never met you before. God bless you, your beatiful girls, and all whom you work with in Uganda. Praise the Lord out God all the time. His Mercy and Love resigns forever. May you all have a blessed, blessed New Year. Your story is such a wonderful inspiration to me. There is power in your service in Africa, and I think you would be the first to agree that it is a power not of yourself, but of God. Only He can bring such beauty out of the chaos of everyday life, such certainty in the middle of uncertainty. What a beautiful paradox our God is! I pray that you all may be given the strength to rise up every morning and to say "This is the day that the Lord hath made, let us rejoice and be glad in it." May He be with you in all your joys and struggles! Hi Katie ! Love your book, my husband and I are in Kenya trying to start a feeding program and are wanting to look at succesful ones to get ideas. I know you are busy please comment if you have time ! Praying for you and your kids ! Hey katie ! Love your book ! My husband and I are in Kenya working as houseparents at an orphanage and are trying to start a feeding program and would love to come check yours out if thats possible. Thanks for your time ! i'am sooo encouraged........Jesus come with youre strenght that's making this women soo strong,,,,i am stretching out to the same, just where i am....in my family!!! Hey, Katie! My name is Gabrielle. I am 15 and i am in a freshmen Bible class at Lakewood Park Christian School in Indiana. We are reading the book, kisses from Katie and we journal after every chapter. One of my classmates had a crazy idea!! "What if we take a missions trip to Uganda! What if we meet Katie?!" My Bible teacher is my Aunt. Her name is Lauri. She was totally moved by the Holy Spirit when she was asked to take us on a missions trip to Uganda. We were reading chapter 10 and it was about how God made the impossible, possible. We didn't think that going to Uganda was possible, but after that chapter we all believed and had overflowing faith in this adventure to Africa. Crazy right?! I feel like this HAS to happen! God is moving all of us and shaping our hearts to Uganda. Being in a slump with God is not fun and I want to get out of the slump immediately! This missions trip would be life changing and I wanted to share this with you to see if you could give us a lot of prayer. If God moves us to come to Uganda, we would LOVE to help with anything we can. Maybe even meeting your beautiful daughters! Through reading this book, we feel like we already know and love your daughters! Our theme saying for this missions trip is "simply love." We would be ecstatic to give simply love to as many kids as we can in our week there. We would love to keep in contact. Our goal is to come to Uganda early June of 2013. Thanks so much! My name is Ruthie, and I am also 13 yrs old. I feel the same exact way about "being Katie when I grow up". I used to just pray because I knew it was the right thing to do, but when I read Kisses From Katie, I realized the importance of prayer and the importance of listening to God's response. I also want to go to another country and help, even though I am not sure how I'll do it. All I know is that if God wants it to happen, I will make it happen! Katie! I just was told to read your book, I bought it last night, found myself sobbing in a coffee shop this morning, your heart is so beautiful! hi there. just kind of catching up a bit on your blog...been a few months since i was free to venture over here. is the mother of 5 still with us? thanks for providing us a little window into your life here. prayers and hugs. I just found your book today at the bookstore, what an amazing woman you are! I just finished reading your book tonight. Thank you for doing what you do and for sharing it with us all. May you and your family and your work always continue to be blessed, and may the rest of us be inspired to do our part too. What a true and honest testament of our Savior Jesus Christ. God bless you for fulfilling His calling on your life...for trusting in Him. I pray the Lord continues to fill you and your kids up till you overflow! I just purchased your book today at the Christian bookstore after the clerk came up to me and said, I'm giving up my last copy that I put aside for me...I think you'd really enjoy this. Coincidence?? I truly believe there is no such thing...only God instances. I'm excited to be inspired and led towards God's good and perfect will! I will be donating as soon as I get paid...along with forwarding to several other friends and family to help in your amazing calling! God bless you and all your angels! I use a bronze craft paint, and then hit it with a heavy green wash. So far, no one has complained and I've gotten a couple of compliments. It's been a while since we have heard from you. Praying everything is okay. You guys have been on my heart the past couple of days. Blessings and protection to you all from the Father above. Hi Katie! I just finished your book, and i just wanted to say what a blessing and encouragement it was for me. It showed me how i need to just love. Love the Lord with all of me, and with His love to give it away. It is so amazing what God is doing through you! Thank you so much! I am praying for your ministry and also for you! You are such an inspiration, Katie. I am reading your book right now and it is challenging me so much to love what I'm doing; I just got down to Guatemala to live there for 3 months and teach English to second and third graders in the public school. I listened to God's call to do it, and I am asking Him to change the way I see the world and what He wants me to do. I am loving your book! What a beautiful story you are telling! I loved your book and read it cover to cover in just one day. I have just returned from Haiti on a mission trip to a small orhanage in Williamson. I have been unable to communitcate effectively my recent experience there because words just aren't enough. You seemed to say it all in your book for me. I understand with all of my heart your burning dersire to be in Uganda. I yearn for the children in the village of Williamson that way. It's all I can think about these days. I accoumpanied my 18 year old son (his 3rd trip in a year) to Haiti over Christmas break of his senior year. He too seemed to struggle with how to put the experience to words. I thought for a time it was just his age or that he was a guy but I now know that its because his heart is so full it seems impossible to express. It so precious that the Lord would drag me all the way to Haiti to speak to me. (Or maybe I just dont listen intently enough at home). I am from Jackson Tennessee and the Lord has allowed me to biologically mother four beautiful children and in all of God's glory he has made room in my heart for 34 more children in Haiti that I call mine...even if the only thing I can do for them from here is pray. There is one little boy that stole my heart... not because of the wide bright smile and open arms but because of the pain I saw in his eyes and face void of a smile. His quiet and shy personality just drew me closer. No English is spoken there so communciating with Nelson is a challenge. If you could pray for this little boy they nicknamed Pepe', I would be greatful. I know God is teaching me something here. Thank you for serving Uganda and my prayer for you will always be that "one child at a time" that country and Haiti will be forever changed. I, like you, have a heart for kids in Africa. I am trying to find someone of a mentor. If you wouldn't mind (and if you have the time, haha) would you, please, email me at xandra.phillips14@gmail.com. I have a few questions for you. Thank you! May He peace your peace in the midst of such difficult things! Wow. I truly admire your faith in God. Your view of Him is so precious. Truly inspiring. I want to strive to be like that. As I read the part where you mentioned the rain falling on the roof, it immediately started pouring down rain onto the building I am in. I think that was God. No, I KNOW it was God. I've been having a hardc time spiritually (spiritual warfare and such) lately and a friend of mine encouraged me to check out your blog. I'm so glad that I did. I'm not sure if you'll be able to read this or not, but that's not what matters. Thank thank you for sharing your heart. It truly has affected me.